Superior Care Group is a family owned-and-operated business with over 35 years’ experience in providing quality aged care throughout Brisbane and the Gold Coast. The facility provides an environment that embraces nature with beautiful lush surrounds and wide open spaces for residents to enjoy and feel part of the Superior Care Group family. 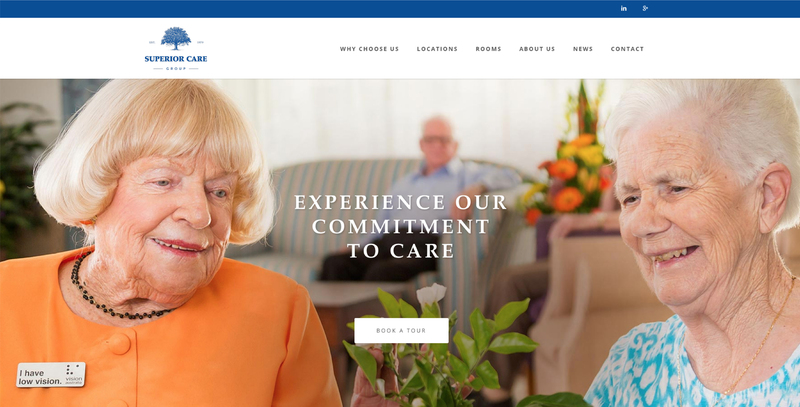 The Superior Care Group needed to refresh its digital presence and attract a new target audience of 45 to 65-year-olds looking for care services for their mothers and fathers. We created a series of three short videos that engaged with the target audience, instilling an emotional connection to the brand. Profiling real residents and their sons and daughters, we crafted testimonials that covered the three main areas that families look for – care, food and lifestyle. Outlining three different demographics within the target audience meant viewers could relate to the videos. The short productions proved to increase trust in the Superior Care Group brand and promoted a much deeper audience engagement.